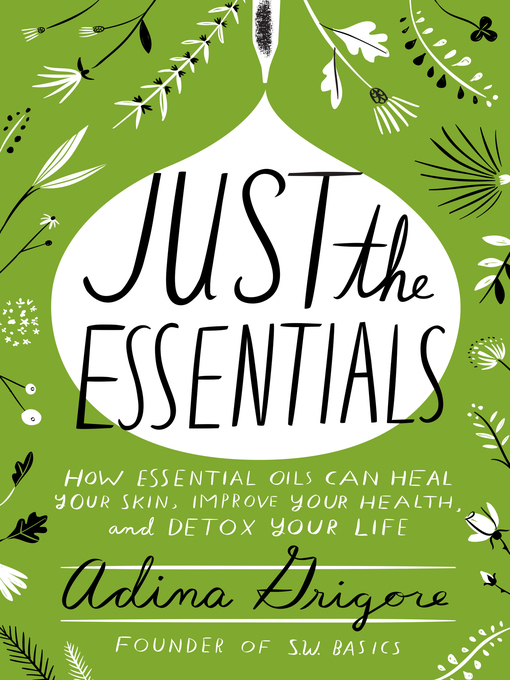 The author of Skin Cleanse returns with a comprehensive guide to the ultimate ingredient for living an all-natural, plant-based lifestyle: essential oils. For millennia, essential oils have played a key role in health and beauty rituals. From references in the Bible (frankincense and myrrh) to Hippocrates (who documented the effects of oils from over 300 plants) to Ancient Egypt (Cleopatra pioneered the use of fragrance), essential oils have been revered throughout human history for their healing powers and their unparalleled scent. But in modern times, they've often been misunderstood, underappreciated, even cast as "dangerous"—and relegated to the dusty shelves of health food stores. That is, until recently. Today they're back in the spotlight as increasing numbers of consumers are looking for all-natural alternatives to skincare products and opting for fragrance-free detergents and soaps, natural remedies for common ailments, and toxin-free home cleaning solutions. Enter Adina Grigore, owner and founder of the wildly popular all-natural skincare line SW Basics. A former essential oil skeptic, Grigore learned everything she could about these potent plant-based compounds when she began formulating her products. And what she learned was that essential oils are some of the most powerful, healing, health-promoting compounds found in nature. That, and they smell pretty great too. Tea tree oil is a powerful antibacterial that is proven to be as effective for treating acne as benzoyl peroxide; it also kills oral bacteria and is a life-saver for tooth infections. Cinnamon oil is a circulation-booster that helps to ease everyday aches and pains as well as headaches (even migraines). Peppermint oil is brimming with antimicrobial properties; peppermint oil can be used for everything from alleviating digestive problems to cleaning your kitchen counters. With lists of the best oils for beginners; instructions for diffusing and safe handling; and DIY recipes from dish soap to toothpaste to facial masks, Just the Essentials makes it easy and enjoyable to reap the many benefits of these pure plant extracts.